Five amp sims and a tube saturation plugin, designed by Nikolai Voronin. Four of these simulators must be completed with an impulse loader to simulate a full amplifier. 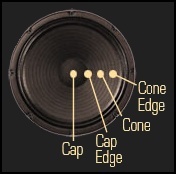 The 7170, 8505 and Wagner MK2 Sharp have almost identical sound characteristics, as you can hear with the samples below. The Wagner MK2 Sharp has a successor, the Wagner Sharp. 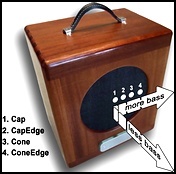 The Simple Guitar Combo simulator includes its own cabinet simulator, so there is no need to add one. Tube Driver isn't an amp sim, but an emulation of a tube saturation, which make any voice or instrument sound warmer by adding some saturation. This simulator is an emulation of the EVH 5150 III amplifier. It's a simplified version, as the original has 3 channels, while this simulator has onely one, but it sounds heavy! On the other hand, don't expect to get clean sounds from it, they're almost impossible to obtain, even with the Drive button at its minimum, as you can hear in the Long Train Running sample below. The 71770 Lead was made for heavy stuff! You will notice that the 8505 and 7170 have a very similar sound. In spite of slightly different settings on both amps, the samples sound very similar, except that the 8505 can achieve clean sounds. As the name suggests, this simulator emulates the Peavey 6505 amplifier. This is a new version of the Wagner Sharp, still very (too much?) 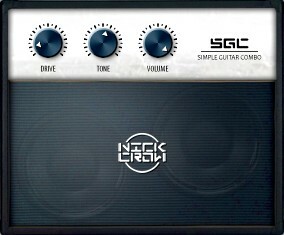 close to the other Nick Crow amps. This time, we get a 64-bit version. Graphically, the interface is not really nice, but that's not important. This simulator is an emulation of the Sharp channel from a Bogner Triple Giant amplifier. Very simple indeed. A Drive button, a Tone button and a Volume button. This simulator includes its own cabinet and it cannot be deactivated. So, no need to add an impulse loader. The samples below were made only with the integrated impulse, without any external impulse. A tube saturation emulator, allowing you to heat up guitar, bass, vocal takes. Experiment.